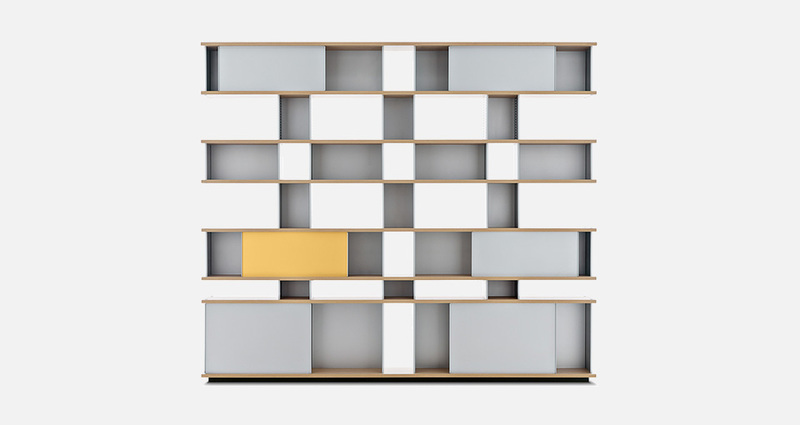 Cutting-edge modularity: Nuage, a family of bookcases and storage units designed by Charlotte Perriand for Cassina. Charlotte Perriand never sees modularity, the key to modern design, as rigid or aseptic. For her it always combines functionality and aesthetics, managing to completely satisfy user requirements. 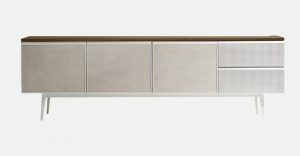 The compositions for this model range from sideboards, to storage units, freestanding and wall-mounted bookcases, fixed symmetrically or asymmetrically, to self-supporting bookcases for using in the middle of rooms, in natural oak or black oak veneer. 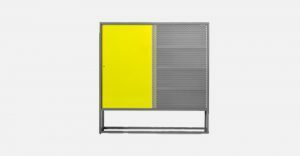 The modules can be fitted with doors to close the open compartments, in anodised aluminium or in a wide range of colours, to create alternating hollows and solids.